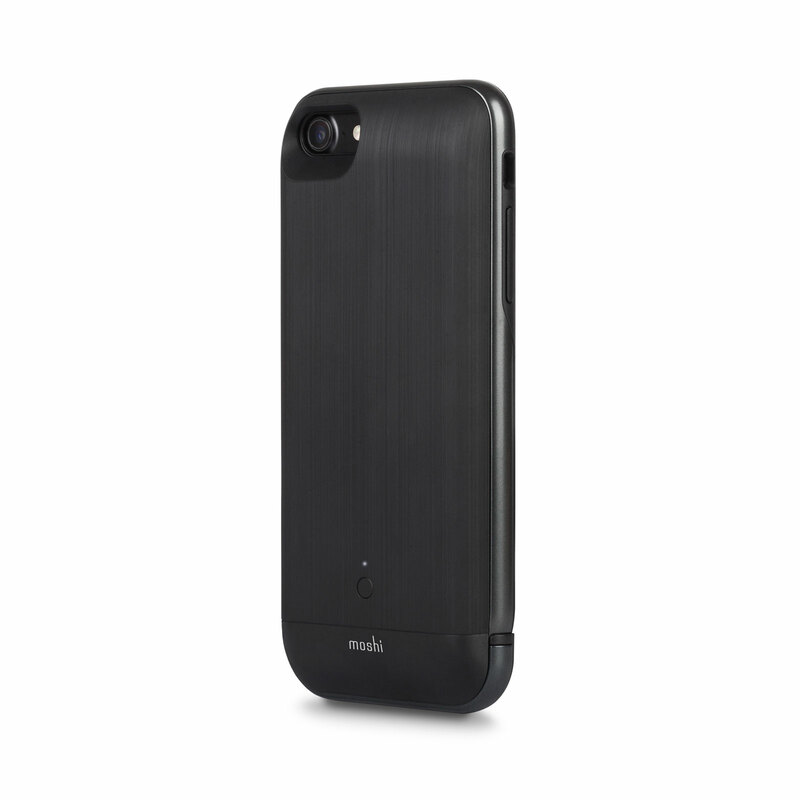 Two-piece slide-on battery pack design keeps your iPhone slim and compact. 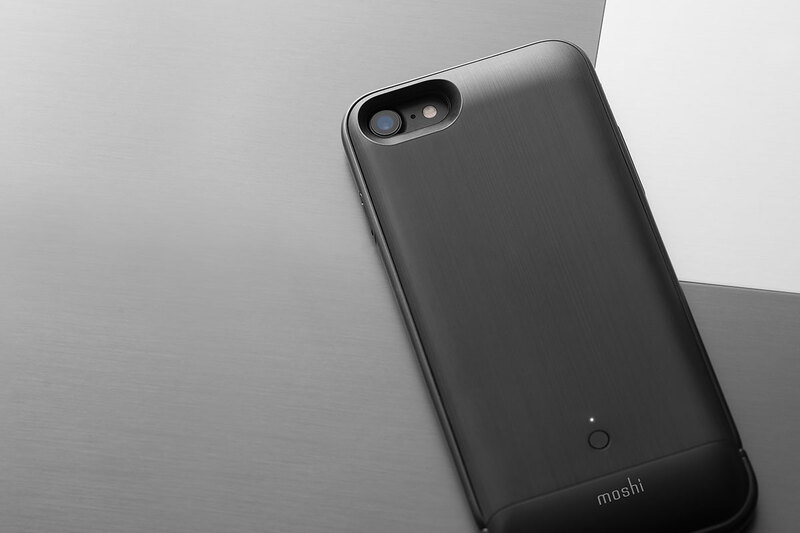 At 3020 mAh, you can more than double the battery life of your iPhone 8/7. 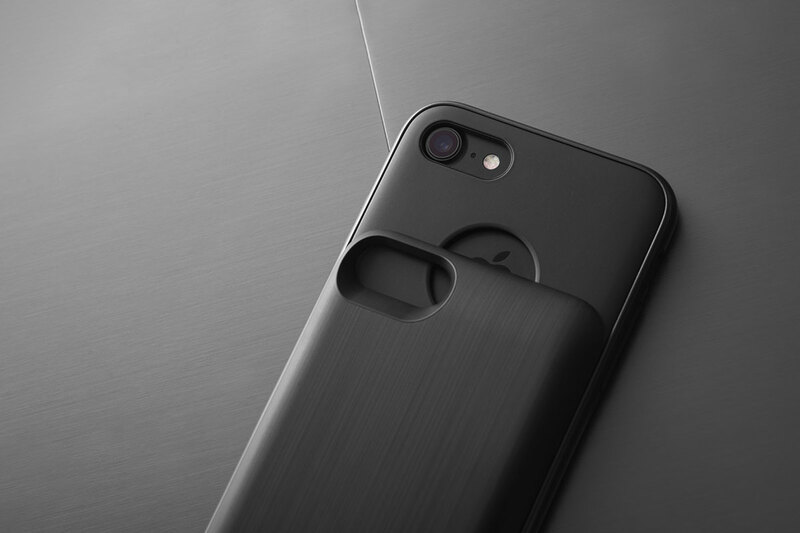 Slim case with military-grade drop protection. 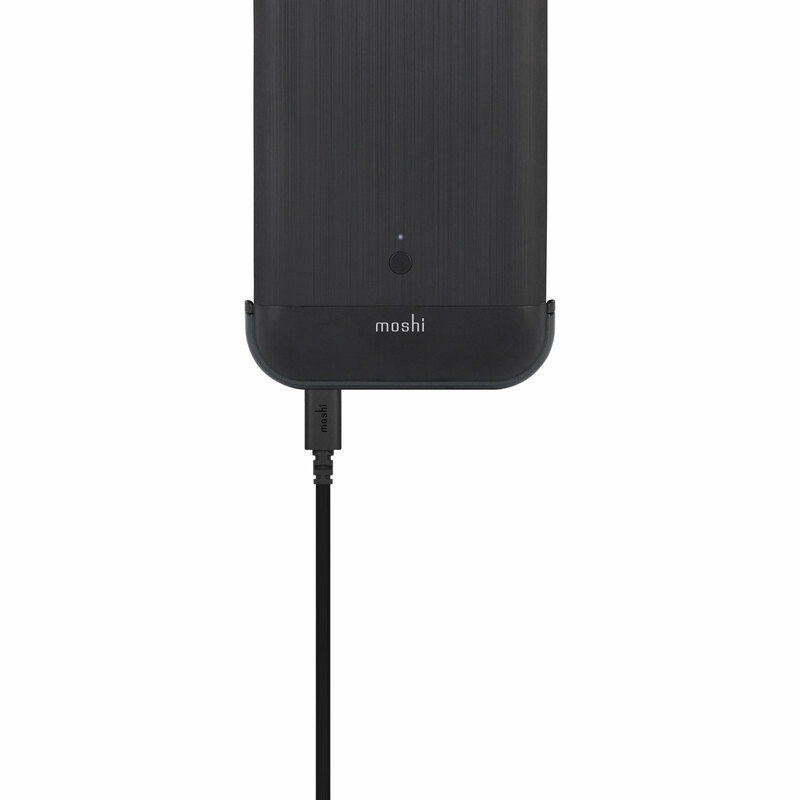 Intelligent power management circuitry supports 2.1 A quick-charging. 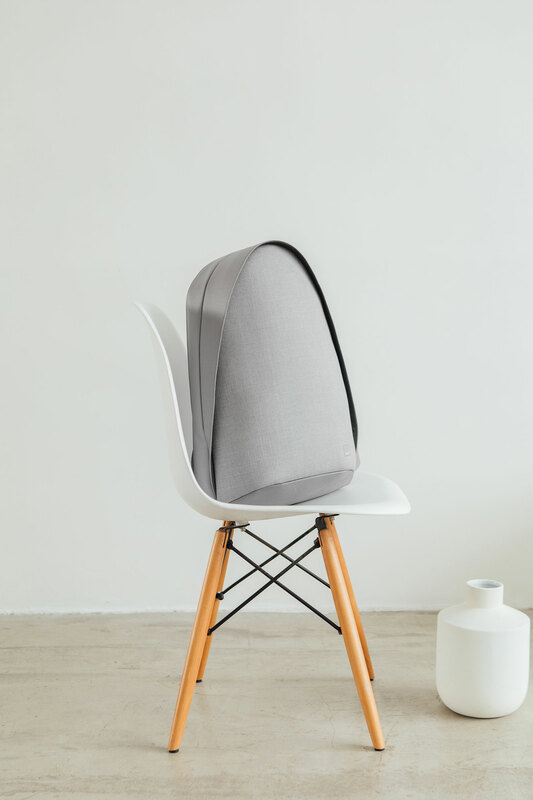 Raised bezel protects the display when your phone lies face-down. 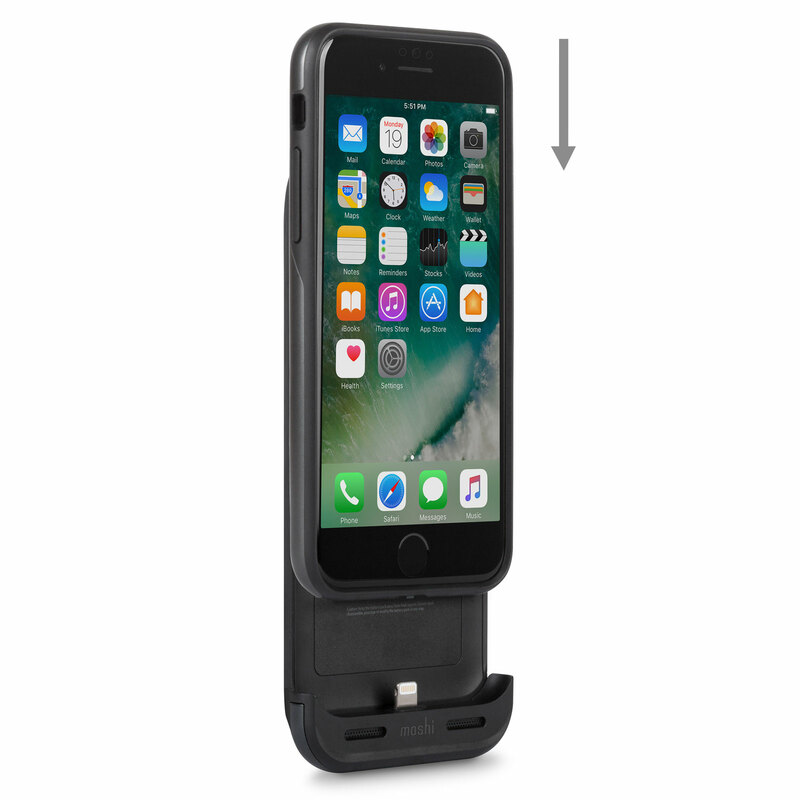 IonSuit combines power and protection into the ideal iPhone 8/7 battery case. 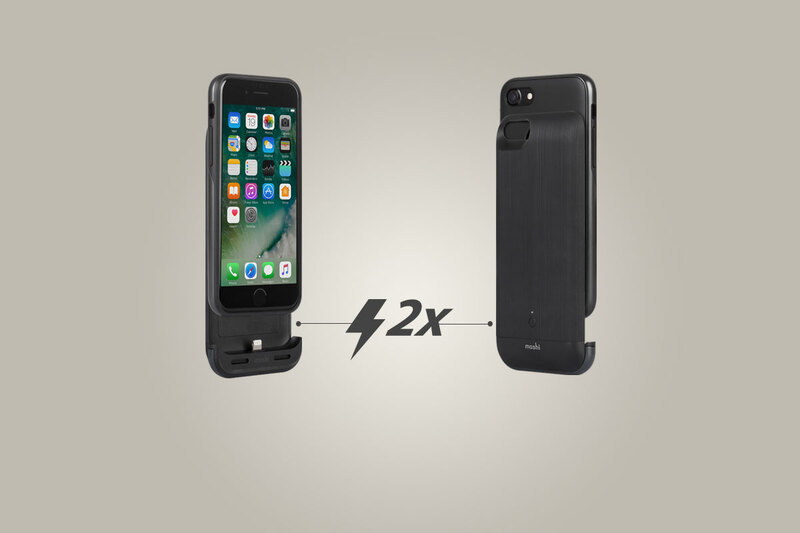 Unlike bulky battery cases, IonSuit's two-piece design delivers power when you want it, and slim protection when you don't. 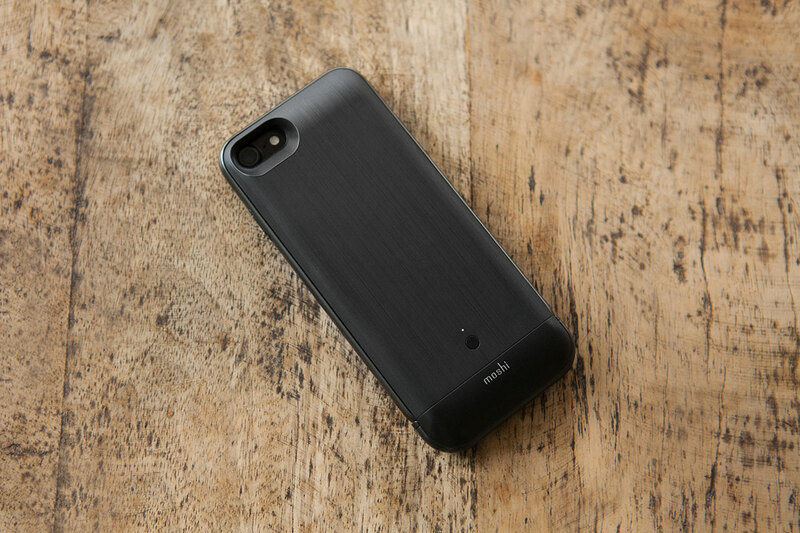 Simply slide on the battery pack when you need a boost and remove it when you're done charging. 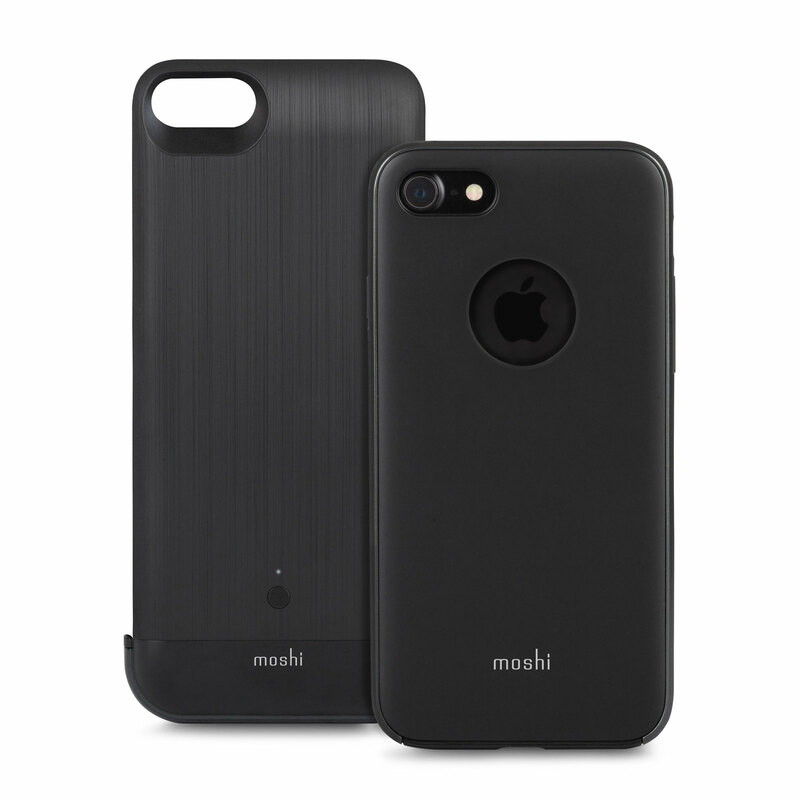 The case features Moshi's signature hybrid construction, consisting of a rigid hardshell case and shock-absorbing inner frame with military-grade drop protection. 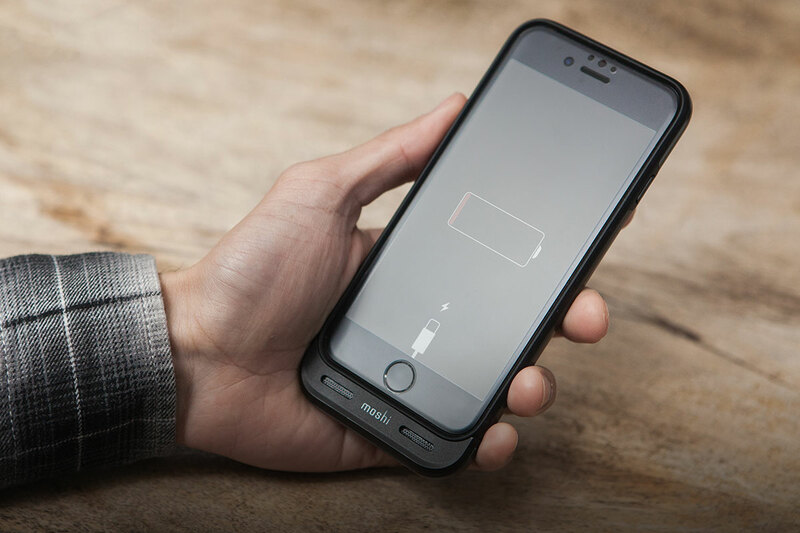 You will also enjoy fast and reliable iPhone charging thanks to intelligent power management circuitry and quick-charging functionality. 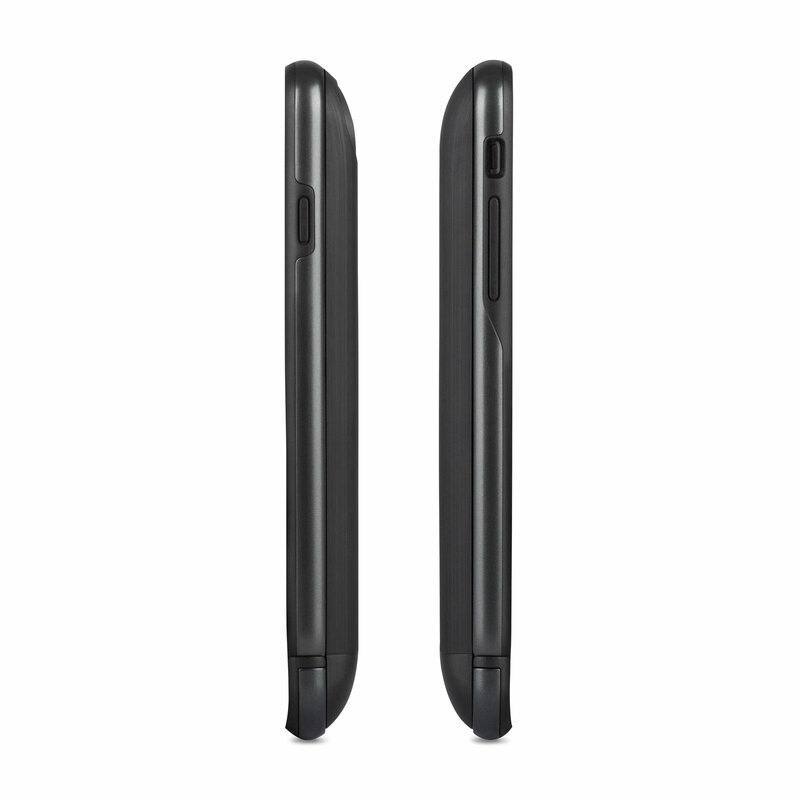 Raised bezel protects the display when your phone is face down.